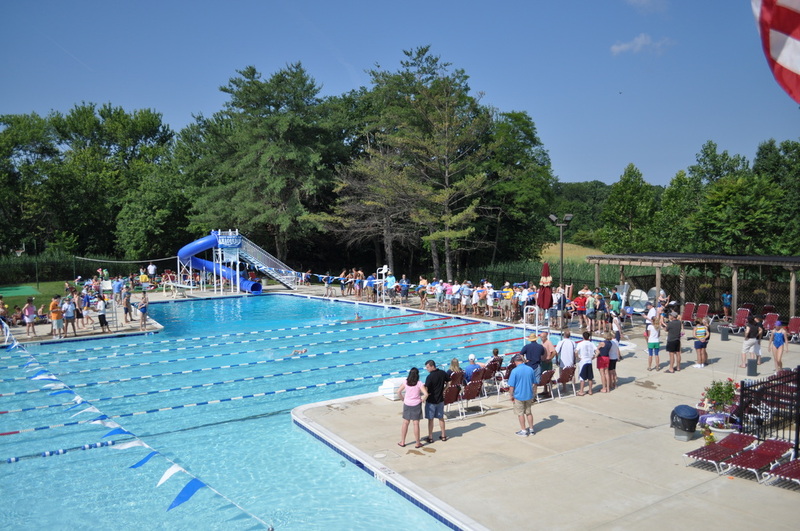 Montgomery Square Copenhaver Swim Club is a community-owned and operated family pool located in Potomac, Maryland. Our recently renovated and heated 25 meter pool features both a diving board and a water slide. Also, we have a baby pool with interactive water features, as well as a sports court with basketball, volleyball, and corn hole. In addition, we have lots of shade and ample parking. Each summer we host cookouts on our deluxe gas grills, movie nights, birthday parties and live music. Our Seahawks Swim Team welcomes children from 5 to 18 for a summer of fun and excitement. We offer training and competition for all ages and swimming ability. Our team is small but competitive - everyone swims at meets - and we have produced three swimmers that went on to Olympic glory! Membership is limited to prevent crowds - but we currently have memberships available. Please see our membership page for more details. Leave the crowds at other pools and relax in our welcoming, safe, never-crowded family-friendly environment.